I guess it’s common knowledge that many aspiring (and even accomplished) genealogists see genealogy as a British murder mystery, a puzzle just begging to be solved. I know I do. And I have at least as much trouble solving my genealogical puzzles as Hercule, Miss Marple, and, dare I say it, Inspector Morse. Of course, the big difference is that those fictional detectives solve every case by the end of the episode. We genealogists can struggle for years, trying to solve our mysteries. Fortunately, very few of our cases involve murder. When I first developed an interest in genealogy, I was extremely spoiled by the fact that it seemed as though previous genealogists had already done the bulk of the hard work. My wife’s older sister had been presented with a family tree by her great-aunt and -uncle, done in 1937, and it had only a few blank spots. I thought: I’ll see if I can fill those in! Well, I think I filled in only one, but I was able to confirm much of the rest of the tree, mainly by referring to the many compiled genealogies found at NEHGS. My wife’s families are all primarily from New England, which was a lucky break. So I decided to look into the Sturgis family. 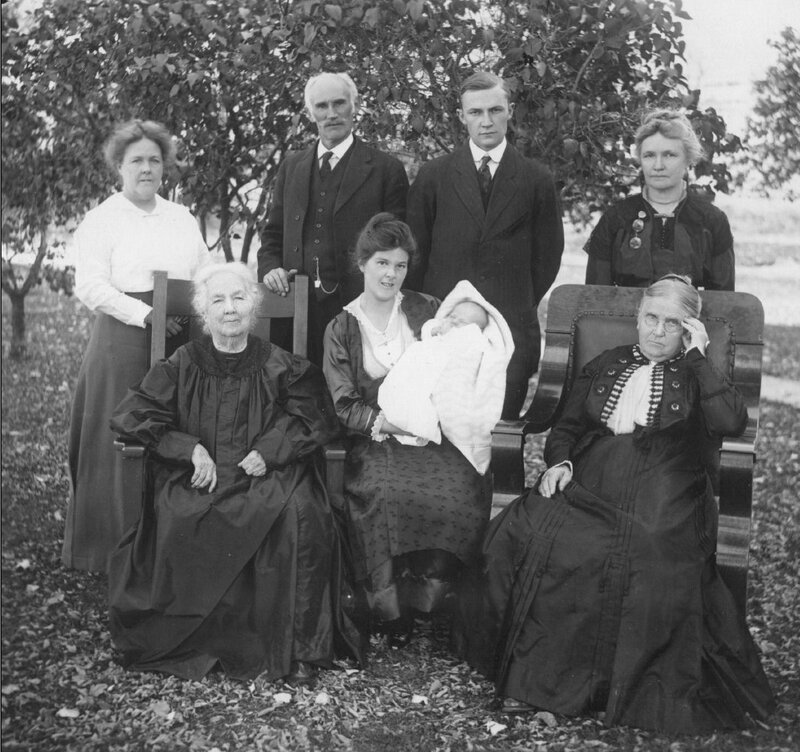 The Sturgis family settled on Cape Cod in the seventeenth century and again, there are several compiled genealogies that detail many branches of the family, including all the way down to my great-great-great-grandparents. Gee, this genealogy isn’t so tough! You just have to find the right book, and it’s all laid out there for you! The “Smith problem” (or, should I say “challenge”?) caused me to temporarily turn to my paternal great-grandmother’s family. Let’s see. Her name was Angeline Hartman. Good! And her mother’s name was … Jane Jones. Jones? Well, maybe these people were all from Massachusetts, too. Let me just check some of Grandmother’s notes. Hmm. “With the exception of the Sturgis, Fish, and Bull families, everyone came to Oregon and Washington from Tennessee. And, the Fish family had departed from Massachusetts many years before, with stops in New York, Ontario, and Missouri, before taking the Oregon Trail to Oregon in the 1860’s.” Fortunately, grandmother had made detailed notes of her families and had saved the record page from a family bible of the Jones and Hartman families. And I’ve been able to find various civil records of the births, marriages, and deaths of several of the ancestors. So light is beginning to dawn on that side of the family. There are those problems with the names Smith, the Jones, etc. but then there are problems with the more unusual names too. You’d think they would “pop right out” at you, but then those census takers and county clerks didn’t know how to spell (or hear?) them right and there could be several iterations of a name’s spelling. But that’s what keeps it challenging and interesting. I’ve always thought of genealogical research as a jigsaw puzzle – only without defined borders and with pieces missing! Granny was Elizabeth Smith (Beth) Born in Pendleton.. The Smith house still stands and of course you would know that the family farm in Helix still is in the family. My husband is the Elizabeth Smith’s grandson.. She married a Fitzgibbon. We would love more pictures if you have them.. We live in Pendleton Oregon.. and I am the chair of the National Historic Oregon Trail Interpretive Center Trail Tender board of directors.. if you have more information let us know..
Granny is Elizabeth Smith. We live in Pendleton Oregon and are having trouble trying to find the ranch. Have you the address? We have also noticed that on Memorial day along with our flowers someone else is leaving flowers over at Olney on the Smith Family Grave site.. We know Cousin Rhoda is in Walla Walla, is there any other members of the family here in Pendleton?